Quad Penalty is a 6★ Support ability. It deals damage twice and inflicts Silence, Poison, Blind and Sleep. 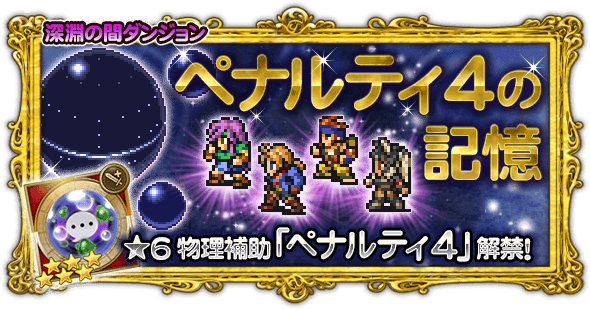 One-time half price (gem/mythril) x11 draw! 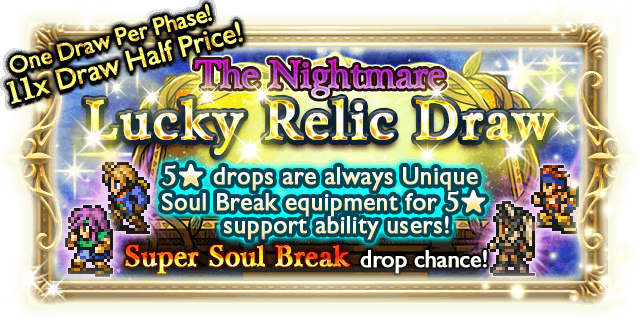 Any 5★ relic you draw is guaranteed to be a unique Soul Break for 5★ Support characters! Defeat Gyges the Great without being KO’d. Anger Blow: Changes attack power. Grand Slam: Deal physical damage to all targets. 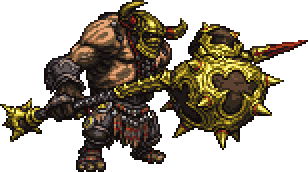 Colossal Slam: Deal heavy physical damage to all targets. You start the fight against Gyges alone. As the fight goes on Gyges will start hitting the boulder wall and when it breaks open, Stone Servant will join the battle.Both of them only deal physical damage, so Power Breakdown + Protectga will do well here. Combine that with Sentinel’s Grimoire / Stoneskin for huge mitigation. 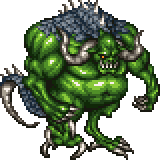 Defeat Humbaba without being KO’d. Thundara: Deal moderate lightning damage to one target. 1000 Needles: Deal 1000 damage to one target. Solar Plexus: Deal physical damage to one target. 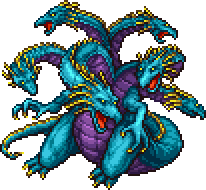 Defeat Tiamat without being KO’d. Icestorm: Deal moderate ice damage to all targets. Thunderbolt: Deal heavy lightning damage to all targets. Blaze: Deal heavy fire damage to all targets. Poison Gas: Deal moderate poison damage and Poison all targets. Defeat Barthandelus without being KO’d. Enchanted Veil: Grant Protect and Shell to one target. Mystic Aura: Grant Haste and increase magic attack to one target. Doom: Doom all targets with a 60 second countdown. 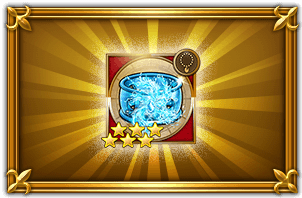 Ruinga: Deal non-elemental damage to one target. Baptism in Ruin: Deal heavy non-elemental damage three times to one target. Thanatosian Smile: Deal heavy physical damage to all targets. Fire/Thunder: Deal fire/lightning damage to one target. Fira/Thundara: Deal moderate fire/lightning damage to one target. 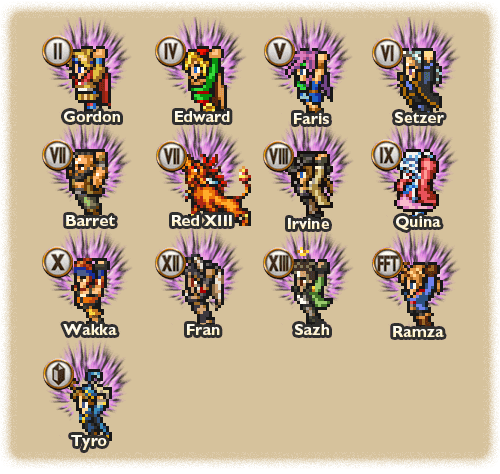 Firaga/Thundaga: Deal heavy fire/lightning damage to one target. Blizzard/Water: Deal ice/water damage to one target. Blizzara/Watera: Deal moderate ice/water damage to one target. Blizzaga/Waterga: Deal heavy ice/water damage to one target. Reflect: Grant Reflect to one target. Nightmare Quad Penalty: Deal special physical damage and Poison, Blind, Silence, Sleep all targets. Heal: Restores some HP to one target. Maser: Deal special ranged physical damage to all targets. Globe 199: Deal moderate physical damage to one target. Globe 199: Deal moderate physical damage to all targets. 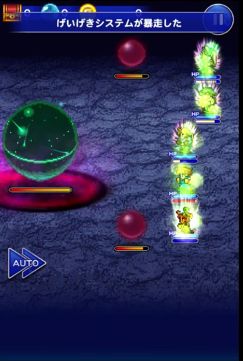 Globe 199: Deal physical damage three times to one target. Deploy Physical Barrier: Deploy a Physical Barrier. Deploy Magic Barrier: Deploy a Magical Barrier. Recover: Restore some HP to all targets. Explosion: Self-Destruct, dealing massive damage to one target. Deploy Physical Field: Deploy a Physical Field. Deploy Magic Field: Deploy a Magical Field. Maser: Deal special ranged physical damage to one target. Globe 199: Deal massive physical damage to all targets. Heal: Restores HP to all targets. Maser: Deal moderate ranged physical damage to all targets. While this fight has 3 phases in total, you want to defeat CPU in phase 2, and you do NOT want to enter Phase 3 at all. CPU starts with a countdown starting from 5. 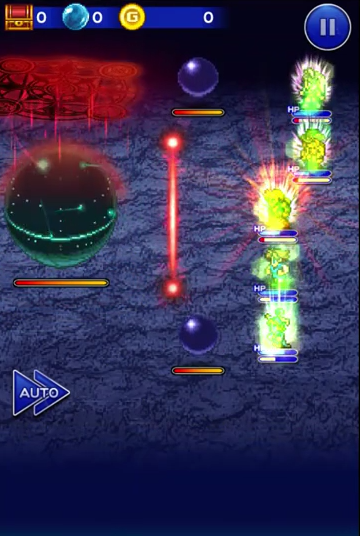 When it reaches 0, it will use Quad Penalty Nightmare as an interrupt. Phase 2 begins when the countdown reaches 0, or when both Attack and Defense Nodes are defeated. 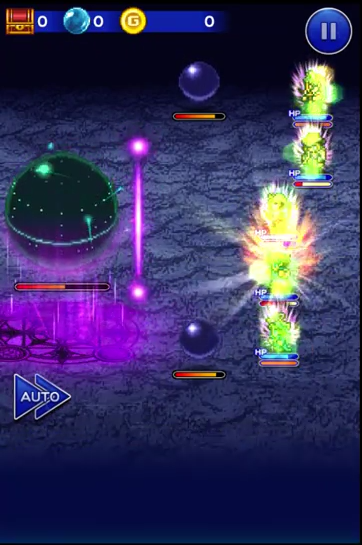 Note that a Node will be revived if you take too long to defeat the other Node. This applies to other Phases as well. Phase 2 ends when both Nodes are defeated. 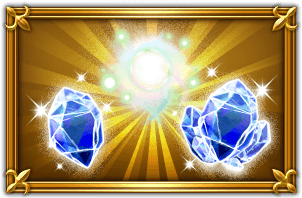 The cycle will repeat even after CPU has gained these “enhancements”, and if these are left unattended for another round, you will be immediately brought to Phase 3. In other words, you have failed. Do note that performing any of the above actions will reduce the “enhancements” by one level (when Phase 2 starts, when CPU gains the Red Barrier and Field, that is level 1), so if the Barrier/Field are at level 2, you need to reduce it an additional time to completely remove the buff. Best way to achieve this is by using Break Fever. 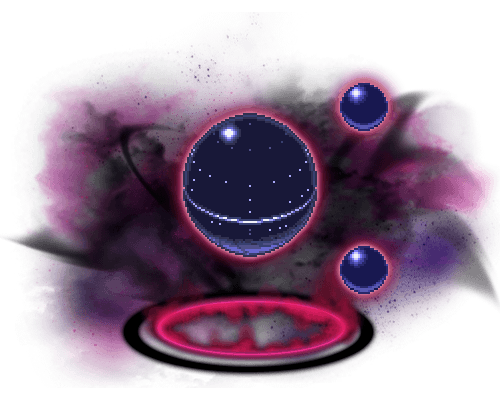 The Nodes will return to their normal states after aiding you enough, and the cycle repeats: wait for the Red/Purple buffs, remove the buffs with Breakdowns, then “overheat” the Nodes. This mechanic makes the whole fight much simpler because it buys you a lot of time to deal damage to CPU and not having to constantly micro manage the Nodes. CPU will be hitting people for 9999 and Defense Node will healing all the targets now instead of just CPU. Attack Node will deal more damage than usual. In summary, you don’t want to be in Phase 3.